Kemp, TX: Industrial lighting leader, Larson Electronics LLC, announced the release of a 10-watt waterproof and explosion proof LED fixture, that can be surface mounted via a u-bracket trunnion mount. This Class I, Divisions 1 & 2, Groups C & D and Class II, Divisions 1 & 2, Groups E & F listed LED lamp produces a total of 1050 lumens and comes in several color and voltage options, ideal for use in environments that may have flammable or combustible gases, vapors, dusts, fibers, and flyings. The EPL-LED7W-TRN Explosion Proof LED Light from Larson Electronics is a powerful Class I, Divisions 1 & 2, Groups C & D and Class II, Divisions 1 & 2, Groups E & F listed fixture that features one, 10 watt LED lamp producing 1050 lumens. This durable general purpose light solution carries a T3C temperature rating and is U.L. approved Class 1, Groups C and D, Class 2, Groups E and F, and Class III, Groups E, F and G. Available in red, blue, green and amber, operators can select the color that best suits their application. 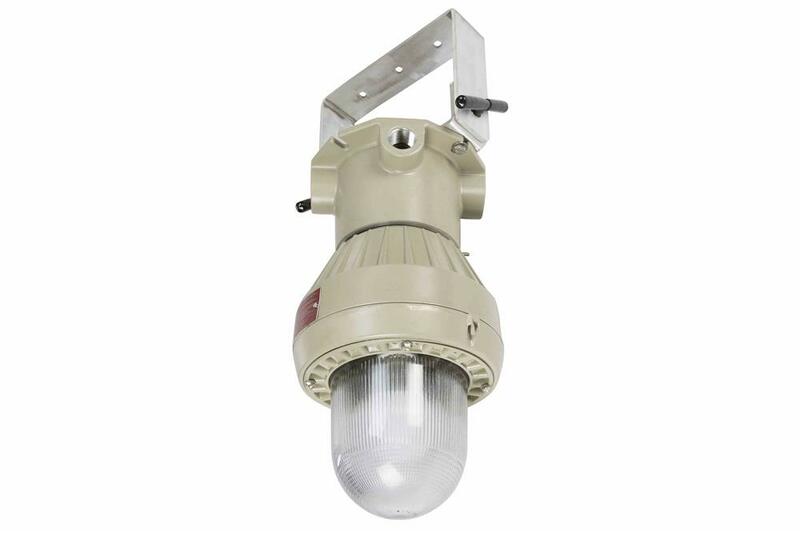 This waterproof and IP67 rated LED fixture is built to handle the demands of industrial applications. The heavy cast aluminum housing is factory sealed and tested to withstand 1490 pounds of hydrostatic pressure. An impact and heat resistant clear prismatic globe with heavy gauge aluminum reflector affords excellent light control. Operators can mount the unit on flat surfaces, walls or ceilings using a u-bracket trunnion. An integrated inspection hole allows operators to easily access the splice compartment for convenient field serviceability. This light is universal voltage capable operated with 100-277V AC, and is available in a low voltage version.